The last thing anyone feels like doing on a Friday night is hosting a dinner party. A simple dinner that covers all the bases in a few small dishes allows you to host a great party but still get to relax. This impromptu dinner party was a success due to a great glass of homemade iced coffee with skim milk for energy and our guests getting stuck on the George Washington bridge for a good 30 minutes. Those extra 30 minutes saved the day! *Note: This only came together so quickly because I did not. stop. moving for a second. If you plan to try this in this amount of time please allow for another hour or so. Go to Whole Foods and do our market shopping. Buy flowers. Catch a cab home to save time. **7:30 PM: Get phone call from husband that he will be late and you need to help him with something. Spend 20 minutes doing it. 3. Remove foil from lasagna. Enjoy ourselves with our guests! For more menus and plans please click here. Girl you are nonstop! I am so impressed. Fridays nights are so hard to do. We never have groceries since we usually go Sat or Sun, and we both get home around 630. You are awesome! I would have called for takeout — you are superwoman! Sounds hectic! I’m surprised you were able to tackle a last minute dinner like that. You are awesome! Love this timeline! I love hosting, but we rarely do it — I am trying to coordinate a brunch in a few weeks. 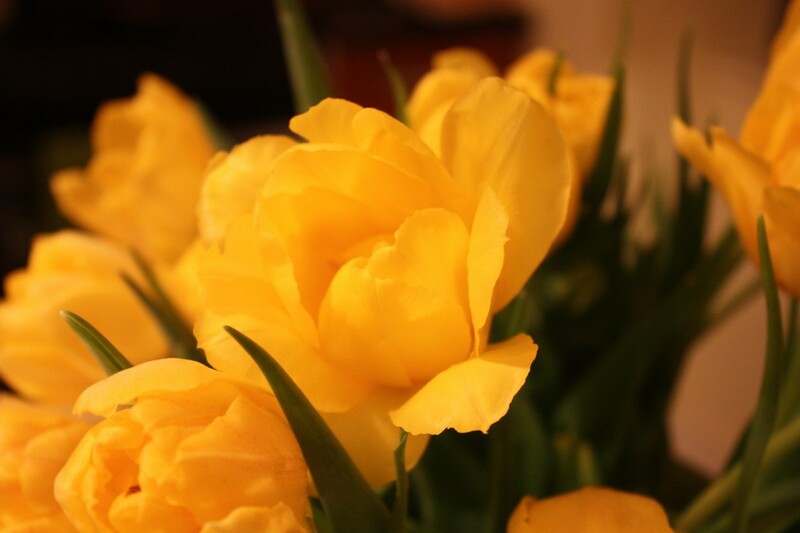 The last time we had people over, PhillyGuy was the one to think to bring home flowers — I NEVER think of that! That lasagna looks delicious and I love the play by play. I am usually still cooking when my guests arrive! 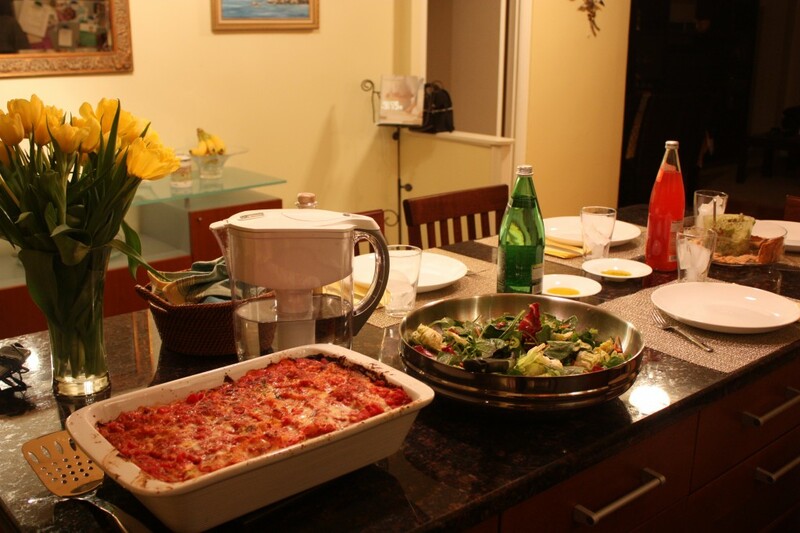 I love having guests…so great you can whip up such a beautiful spread so quickly! dang, what a fabulous job!! This is exactly my kind of meal! I like that the chicken is simple and the lasagna is quick. I’m always looking for healthy last minute recipes for those busy weeknights. 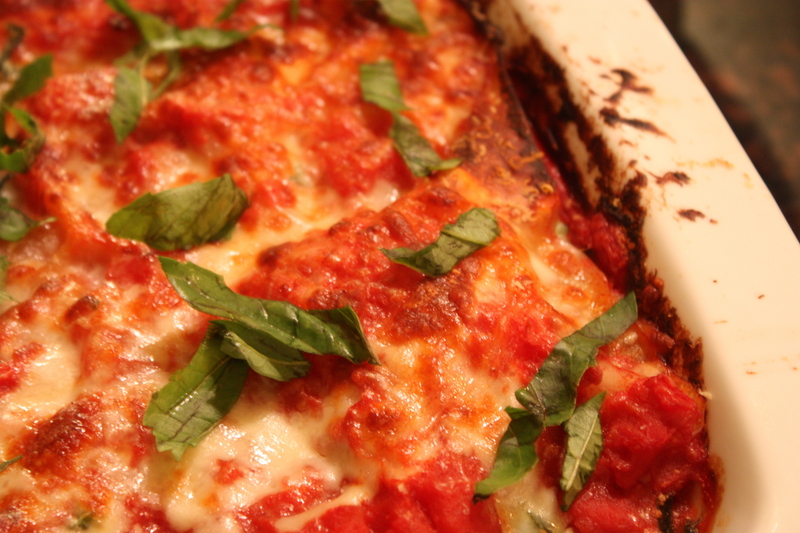 Could you share the baked chicken and veggie lasagna recipes?? Sorry for my greediness, they just look so delicious!